The Counseling Center will host its 48th Annual Benefit on Friday, May 3, 2019, at the Bronxville Field Club. This year’s event will honor Rosanne Welshimer. Thanks to the generosity of four families who are sponsoring this year’s benefit, all of the proceeds will go to support the important work of The Counseling Center, especially its fee subsidy program which allows The Center’s professional staff to offer its critical services, including psychotherapy, marriage counseling, family and child therapy, and pastoral counseling, to those who are unable to afford full-fee treatment. Rosanne Welshimer’s commitment to community service, with a focus on wellness, education, and faith, has enriched the lives of many people in Bronxville, and beyond. 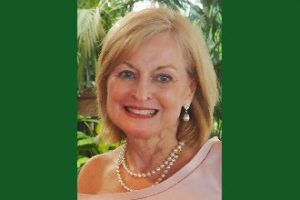 Rosanne has held lay leadership positions at The Reformed Church: as chair of several councils, as deacon, elder, and as vice president and acting president of Consistory. She also served as president of the board of the Bronxville Public Library, and as chair of the board of The Counseling Center, where she was on the board from 2011 to 2018. The mother of four children, and grandmother to six, Rosanne enjoys gardening and cooking, and is famous for her scrumptious chocolate chip cookies. The Counseling Center offers a warm, safe, and confidential place to get help. It has offices in The Reformed Church of Bronxville, as well as in Scarsdale, Riverdale, and New York City. For more information, call Clinical Director, Dr. Jane Benjamin, 914-793-3388. * Click in level box to select your ticket level. If you regretfully cannot attend but would still like to donate, click below.